The Android feature graphic is shown at the top of the feature listing in Google Play. It makes your app more attractive and appealing to users. It's also a requirement in order to be featured anywhere within Google Play. 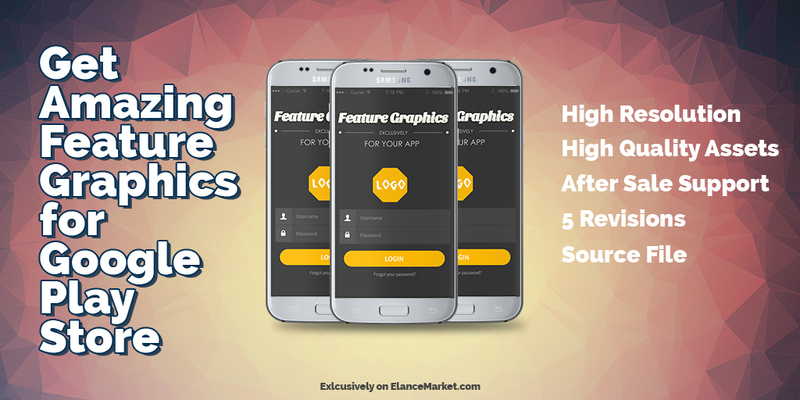 This gig is designed to make professional Feature Graphics for your app. You can use it on google play store/iOS App Store and also use them as your social media post. Having a good overview drives higher conversion rate for downloads. This gig also deals with the Re-designing of your previous feature graphics. If you have any confusion, contact us before you order for clear understanding.